This post is a long time in coming - in fact, it should have been published last year had I not been sidetracked. But as they say, it’s better late than never right? Well then, let’s get straight to it. Who doesn't want clear and vibrant looking skin? Sometimes, no matter what you do, you skin just looks dull and tired. Whether it be diet, lack of sleep or exercise, you just haven't got the routine right to having you looking fresh again. Normally you might hit the salon and get a face peel or microdermabrasion but if you want something extra that continues to deliver benefits for months after, then you need to look into new treatments delivered by laser technology. 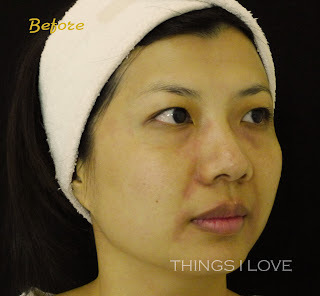 Now I know that when people think about laser treatments, they conjure up images of traditional laser treatments that is pretty strong and powerful. It is also associated with the need to take time off from normal activities, press the pause buttons for a few days before they can resume normalcy and regular routine again. With improvements to technology, you can now get the benefits of laser but in a more gentle manner, without all the typical associated discomfort and inconvenience. Always keen to experience and learn more, I had the opportunity to try this technology last year at Melbournian clinic Erase Aesthetic Services. 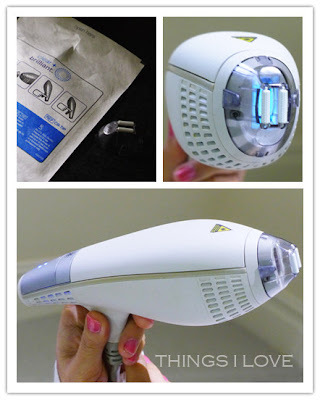 Clear + Brilliant laser (C+B) - what is it? 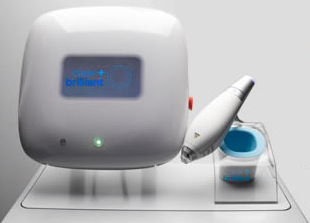 Clear + Brilliant is like a souped up facial – it’s based on fraxel laser (so uses fractional lasers) technology to help prevent the early signs of ageing and can work as a skincare maintenance regimen. It uses a diode laser that gives out a 1440 nm wavelength and a 140 μm spot size to create micro-injuries that only reach the skin’s top layer (stratum corneum) to rejuvenate it. C + B is suited to those in their 20s and early 30s who want to subtly refresh their looks (read: radiant clear skin) and don’t want to resort to drastic measures. It can also helps with improving pore sizes and temporarily reduces sebum production so is great for anyone with oily skin. In short, if you don’t have major skin conditions but want to refresh (rather than rejuvenate which in most people’s mind is a more dramatic improvement), then C+B would be suitable for you. My skin was just looking dull and tired with my perpetual lack of sleep and stressful work. 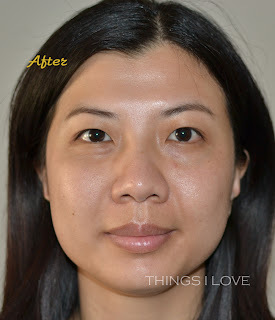 I also had very oily skin and as a result, very enlarged pores on my nose and cheeks. I wanted to give C+B a go to get the glowing skin look that lasts longer than just a day or 2. I was also hoping that it would help with clearing minor breakouts I had around my T-zone area. As far as procedure goes, this is one of the simplest ones I’ve had, it was literally like going to a salon for a facial. There wasn’t much pre-treatment measures to observe, other than to stay out of the sun (or wear sunscreen – which we all should be doing anyway) so skin isn't over exposured or burnt. I dropped in to the good people at Erase Aesthetic Services in the morning and after filling in a new client form (including what my current skincare regime and products I was using was) with the clinic, Maria, my dermal therapist proceeded to assesses my skin type and condition. She decided that we would use the high setting (the machine has 3 settings giving out different energy levels during the treatment to suit all skin types) as most clients tolerate the high setting well and it would help with my oily skin. 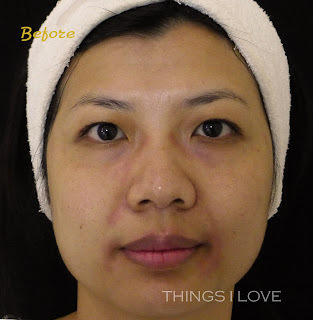 After the assessment, I was given a quick cleanse to remove any dirt and makeup from my face using the gentle Jan Marini cleanser and then as a comfort measure, she applied a topical aneasthic cream on my whole face so that during treatment, I wouldn’t feel the laser on my skin. 20 minutes later, my face was feeling slightly numb and the bit of cream that got onto my lips made me feel like I was about to drool off the side of my face - a good indication I was ready for the treatment. Lying down on the treatment chair, Maria, used the C+B device with a one use only laser tip to shoot a beam of light onto my skin. As an additional comfort, there was a cooling fan called a Zimmer which was blowing jets of cool air on the area where my skin was being treated, making it very pleasant and completely pain free. During the treatment I felt a slight prickly sensation and my skin warm up but the zimmer cooler was doing its job so well, I wasn’t bothered by it. In total, the area of the face had 8 pasess over the same surface – 4 horizontally and 4 vertically to ensure that any area missed in the previous pass is picked up. Straight after treatment, my skin was warm and red in patches of the face and sensitive to touch as if I’ve stayed out in the sun for too long but it didn’t hurt or sting. I popped on some sunscreen before leaving the clinic and headed home to rest up. I was also provided some post care advice and after care products from Jan Marini to use before being sent home. Use gentle cleansing products and not to use exfoliating agents (chemical or physical) for the first 3 days. Scrubs are an absolute no-no! Skin will dry up and so application of topical hydration is essential to help with adding the moisture and helping with the skin recover. Peptide serums like the Jan Marini Peptide Extreme serum is great for this as it regulates the skin’s inflammatory response. I used this quite liberally on the first few days 2 and even 3 times a day in the first 2 days. Skin experienced dryness and dry flakes started appearing in 3 days. On the 4th day, I could use to ezyme mask to help remove some of the top layer dead-skin cells. Avoid perfume, chlorine, UV, products that contain resurfacing ingredients, and hot water. Also little note: waxing, hair dying should be avoided. Even though there isn’t supposed to be any down time, I did notice on the that my face started swelling a fair bit afterwards but died down the next day. This is to be expected since I just had my face lasered and therefore I would not recommend this as a lunch time treatment as you can look quite bloated afterwards! My forehead stung a fair bit and I decided to lye down for the bulk of the afternoon and stayed indoors the whole day. The swelling is gone but I noticed some dark tiny blood dots on the side of my face. I was told these were micro internal bleeding in the skin from the skin injury cause by the laser will fall/wash off with the dead skin in a few days time when new skin grows. Skin was starting to feel dry and I was slapping on the peptide serum like it was water to a desert. Skin wasn’t painful to touch and I was able to go about my normal routine with a slightly heavier than usual makeup application to hide those blood dots. Skin was starting to feel and look rough with the dry flakes occurring. The blood dots were deepening more in colour and looking like micro scabs dots now. Thankfully nothing that makeup couldn’t fix either – even though it gets tricky around the area with dry patches. Towards the end of day 3, I I was able to gently sloth away the flaky skin in the evening during my cleaning routine just by gently rubbing my skin. My skin is a lot more clearer now that all the top layer of dead skin has been taken off. 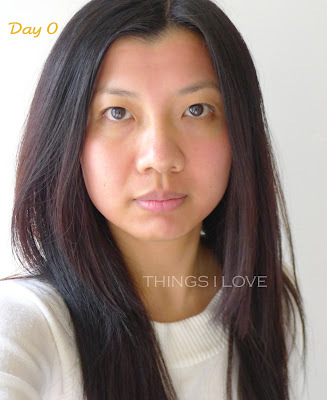 Actually, it’s quite glowy with a inner radiance and plumpness that you get with new skin. Skin definitely feels and looks reborned. The texture is also refined and soft. I continue with using the peptide serum but have included a vitamin c serum in an attempt to improve my pigmentation spots. Skin is still looking great – it's radiant and skintone is very even but what I’m most estatic about is that it seems C + B has also improved the appearances of my shallow scar marks on my cheeks. They definitely look less pronounced and my skin is more even. The recommended number of treatments to start off with is 3, each at 1 month intervals (to coincide with the skin cell life cycle perhaps?) and after that, quarterly sessions for maintenance purposes. At $300 each treatment (pricing correct as at September 2012), this is not a cheap course. But the results on my skin are by far better than any facial or microdermabrasion treatments I’ve had so I guess it delivered more value for me. 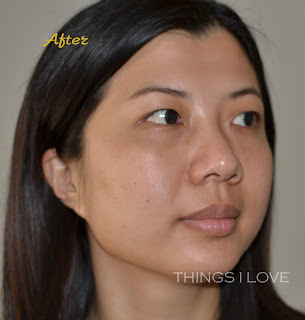 I would likely get a laser treatment on a quarterly basis to maintain and improve my skin texture. I've enjoyed my Clear + Brilliant treatment and have the wonderful staff at Erase to thank for the complimentary service. It's made me realised that laser doesn't have to be painful to get good results. I'm now a firm believer that laser is the future of beautiful clear skin.